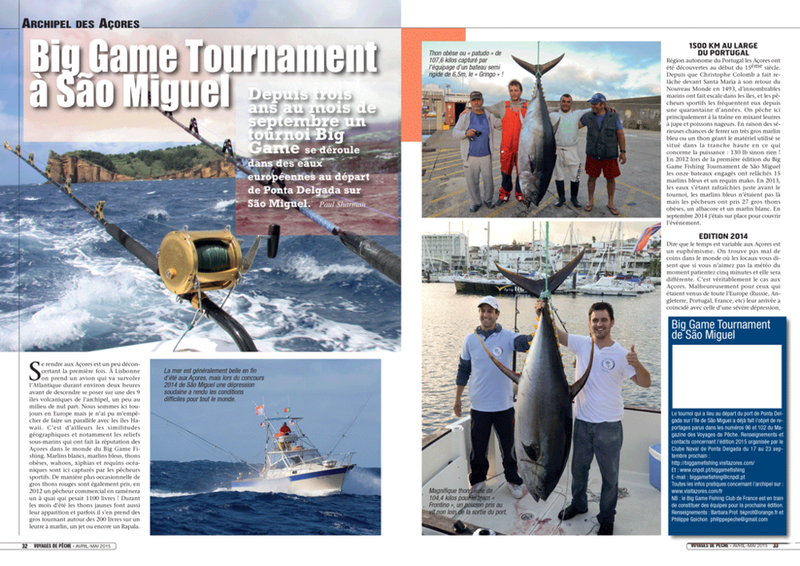 My latest published feature is a report on my first visit to the wonderful Azores last autumn taking part in the Azores - Big Game Fishing Tournament reporting for Magazine Voyages de Pêche. Sadly we were hit by very unusual and badly timed weather for the 3 days of fishing but the chance to explore the main island of Sao Miguel was eagerly taken and I can't wait to get back and explore the rest of the islands with my camera and fishing rods. I can't recommend a visit highly enough - I can only equate the Azores to being Europe's version of the Hawaiian islands - stunning!